To all my American readers – Happy Thanksgiving. 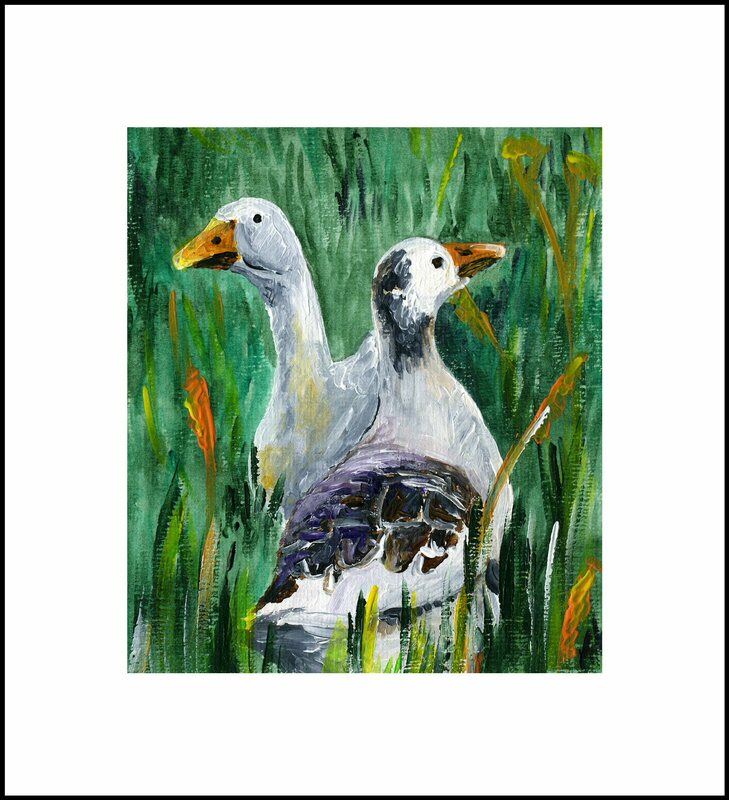 Sorry – I don’t have any turkey paintings so here is a minature of two geese. The one at the back is called Boris and the one at the front is Missy. They are our breeding pair and are now ten years old and still going strong.